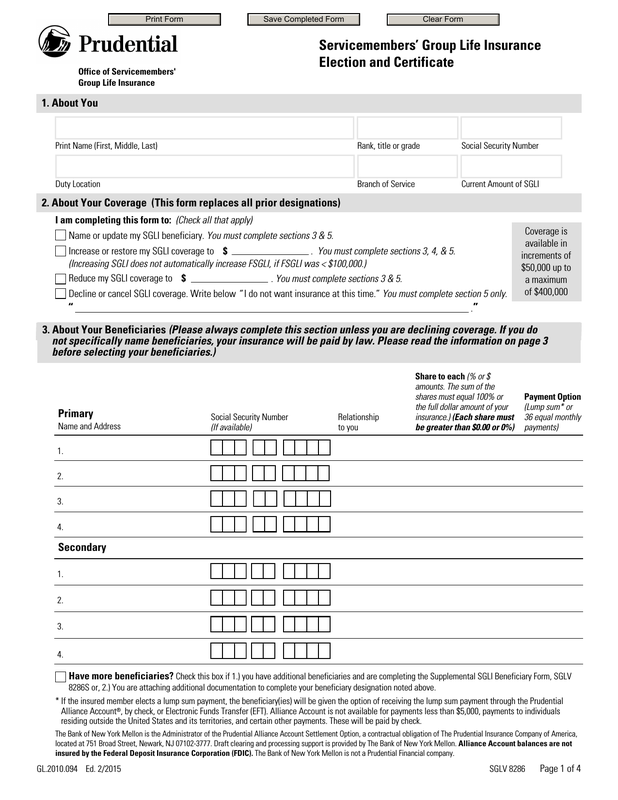 Download the Servicemembers’ Group Life Insurance (SGLI) Election and Certificate Form that is created so that service members can restore or make changes to their life insurance. Whether you need to update the beneficiary, increase the amount or even decline coverage complete this form for assistance. Once completed, submit the form and the appropriate changes will be made according to the subscriber’s wishes. This form will replace all prior designations. Always complete this section, unless you are declining coverage. 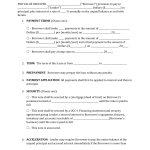 Read the information on page 3 prior to selecting beneficiaries. If you do not provide the names of the beneficiaries, your life insurance will be paid according to law and not your decisions. Specify the percentage you wish to go to each person until you’ve reach 100%. Continue to provide the same information for secondaries as you are providing for primary beneficiaries. If you answered “yes” to any of the questions, reference the question by letter and list date, duration and details in the box provided. 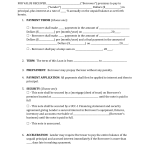 Attach additional documentation if necessary. You may wish to request a copy before you leave so that you will have all of the pages needed to serve as proof of your changes.